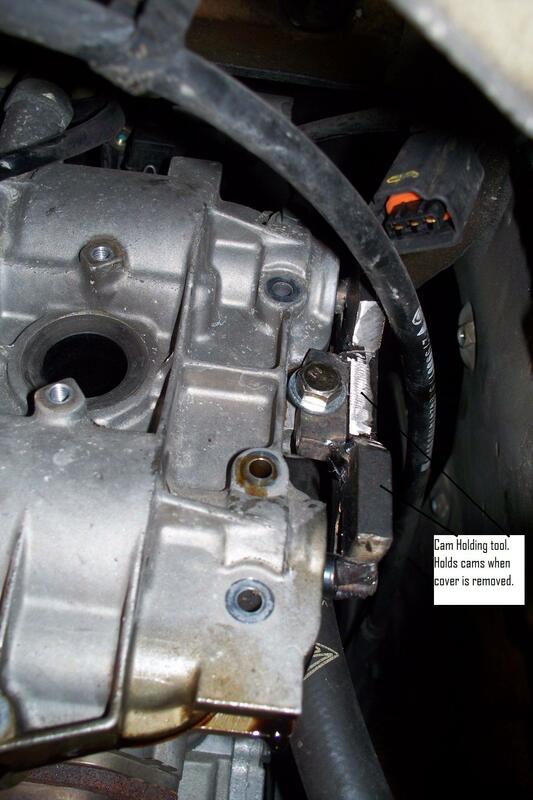 I am curently swapping my Bank 1 Vario Cam solenoid in car. I expect the parts to be here in a week or so. I am also changing the front engine mount at the same time, so I left it out to allow engine movement up and down for ease of cam cover removal. I built myself a cam holding tool as the porsche one is quite expensive. At the end of the job I will post dimensions of the tool for others to use. an inch or 2 to allow access to top bolts. I had to swing the rear transmission support piece out of the way to allow cam cover to be pulled down and off. I could not acces the 4th bolt as my jackstand was in the way. I could not get the spark plug tubes, but had to remove them before cam cover would come off. I broke 2 of the 3 tubes...as engine was cold. Exhaust system was not removed at all. Rear tire removed. Looking forward to seeing details of the cam holding tool. Received my parts from Sunset Imports today..Great price and service...Installed new Variocam Solenoid and tested old one. Re-installed cam cover and will finish up tomorow. Very difficult to get the oil pump back on. Had to use grease to hold o-ring in place but difficult to line up oil pump drive to slot in camshaft. Not much room to work. Will change out front engine mount tomorrow and get engine bolted back in car. Hopefully error codes gone. Bench tested old solenoid and it functions but not under pressure. I held it down on my workbench with my thumb and applied 12v to the leads, and it would barely click. I tried the same thing with the new solenoid and could not hold it too the bench. Here's a pictures of the tool I used to hold cams in place. Approx 4.5" center to center. But I cut a slot in the steel and slid them in until they fit the cams and then welded in place. All done from inside car through engine access hole. I think I am going to have to do mine. How much was the cam holding tool? 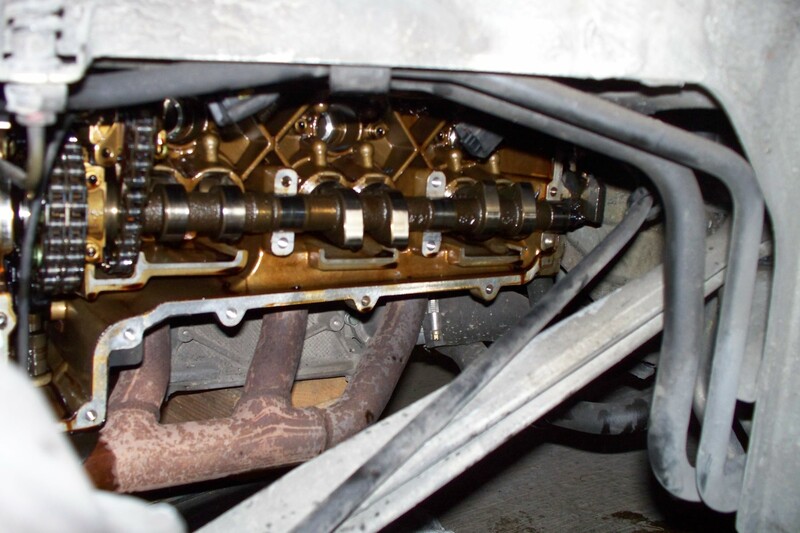 Also, in the last but one photo where is your tool holding the camshaft? Thanks. you don't pinch the coil power supply wires as I did...(had to remove cover and start over)..good luck! I think if I get into this I may ask you another dozen questions if that is ok... :) For the moment though, how did you skip a tooth and why did you replace the entire assembly second time aroung (was that when you skipped a tooth)? I did not notice the timing was out when I first dug into the engine. After I changed the solenoid the same error codes kept coming back. Before changing the solenoid I tested the wires from the solenoid to the DME...and the wires for the camshaft position sensor to the DME. I also swapped the camshaft sensor from right side to left side and still had same error codes on right side. For the holder, how much pressure does this need to bear. Seems like you could make it out of hardwood and dowels. Am I dreaming? Do the two dowels fit into slots in the cam shaft or just press against the ends? Thanks for your help - looks like I have a solenoid replacement job this w/e. Getting P1341 ( DME 7.2). Cams have quite a bit of pressure as after the cover is removed they are only held in 1 place each, at the varia cam end of the camshaft. This tends to get the cams to lift out of their respective "bearings" at the opposite end. The tool holds the cams down while cover is removed and re-installed. The 2 pins fit into the ends of the camshaft as they have a recessed area..and the tool is bolted to a tapped hole in the head. 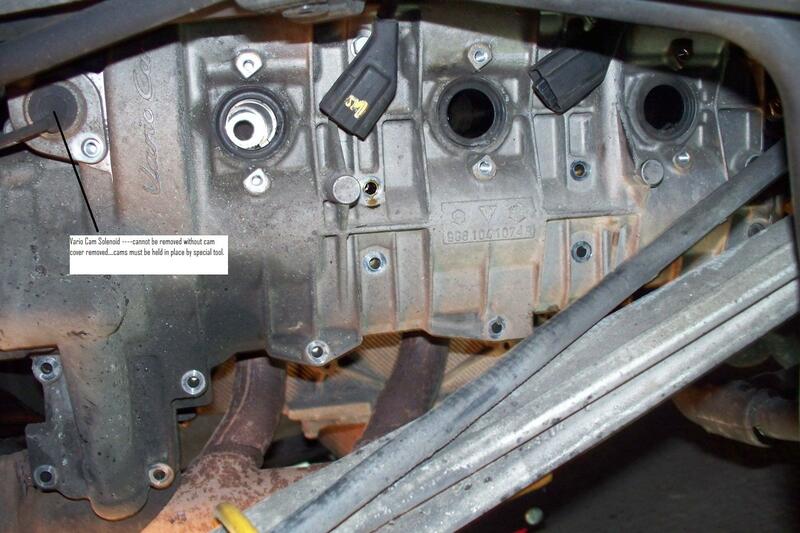 Make sure you checked the wiring for the Camshaft sensor and the solenoid bank 1 before you right off the solenoid. Thanks - I checked the wiring last night. I got 13 ohms across the solenoid. Put it all back together and the light disappeared this morning. May have nudged something or maybe just takes a while to re-register the fault. All said, the replacement work is postponed until I see the light come back on. Thanks for advice about the clamp. I was thinking an alternative simple build would be a peice of L shaped aluminuim from teh local store and use short steel bolts at 4.5" spacing through self tapped holes in the aluminuim. Cut away the parts of the L bracket that interfere with the cam housing. That way avoiding welding equipment (which I don't have). Easier to work Aluminuim with saw and files.. What do you think? I see that you are in Washington..If you need to borrow the hold down tool I can lend it to you. I live in BC but work in BC and Tacoma. It could be picked up in Tacoma if needed. Don't think they ship to the UK though although am awaiting a reply to a email sent on Sunday (which I suspect won't be coming...) Also contacted Sir Tools who also haven't replied, nor seem to have any European distribution. Listing has changed due to an error: only available as a pair: $175. Got a reply from Samstag Sales, who do export, $179.99 from them and $40 or so post/insurance from USA to UK. May buy the pair and sell one on. Have you seen this series on you tube? Have a look. The video was superb, I certainly would not have been able to sort it out without this info. and the other info. on this subject. I will write again and let you know how I get on. I am in the process of putting it back together again. 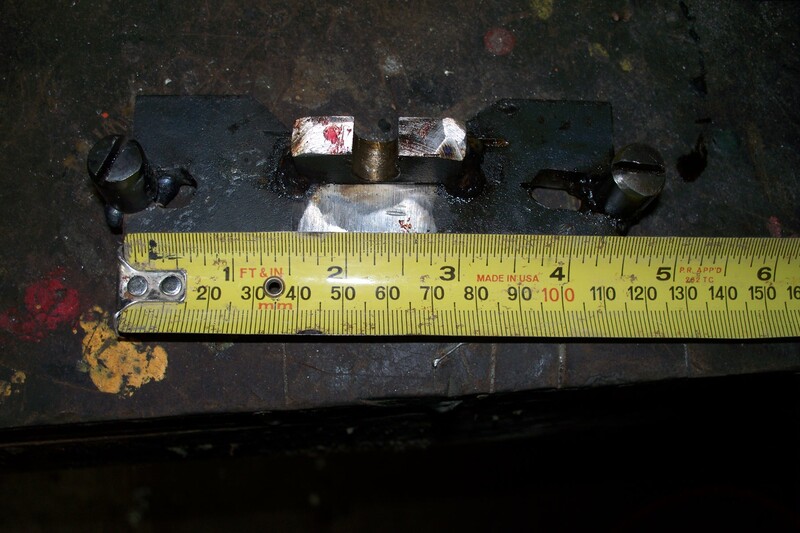 I have refitted the camshafts and the variocam mechanism, which by the way I didn't find anything suspect. Every thing appeared fine So most proberly I can expect the misfire and fault code to return. Anyway, the reason for writing is, there are 4 bolts holding the gear and oil pump drive plate on the end of the exhaust cam. 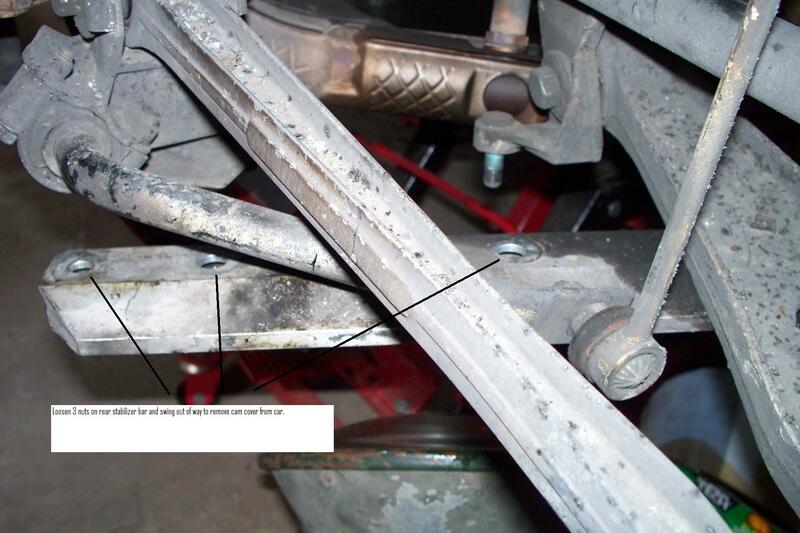 These 4 bolts pass through 4 elongated slots in the chain gear into the end of the exhaust cam. Do you know what this adjustment is for, bearing in mind the slot at the opposite end of the exhaust cam sets the timing. These bolts hold the timing. The timing is set with special pins from Porsche (I don't remember the part/tool #). then the timing is set --- you then tighten these bolts to 14 ft lbs of torque. I just did this a couple days ago. but that is how it is designed. I shall have a look on eBay, hope I can find it. Sounds quite tricky. You can just unplug the solenoid and connect a 9v battery to it to activate it. The polarity does not matter.